Σε πολύ καλή τοποθεσία της Κάμποτ, το Ramo Resort είναι μια πολύ καλή βάση απ'όπου μπορείτε να εξερευνήσετε την σφύζουσα πόλη. Από εδώ, οι επισκέπτες μπορούν να έχουν άμεση πρόσβαση σε όλα όσα η πόλη έχει να προσφέρει. Από τη βολική της τοποθεσία, η ιδιοκτησία προσφέρει εύκολη πρόσβαση σε κορυφαίους προορισμούς της πόλης. Το Ramo Resort προσφέρει άψογη εξυπηρέτηση και όλες τις βασικές ανέσεις στους ενθουσιώδεις ταξιδιώτες. Το ξενοδοχείο σας προσφέρει μια μεγάλη επιλογή υπηρεσιών, συμπεριλαμβανομένων των δωρεάν WiFi σε όλα τα δωμάτια, υπηρεσία ταξί, υπηρεσία εισιτηρίου, 24ωρη φύλαξη, ημερήσιος καθαρισμός. Το ξενοδοχείο διαθέτει 9 όμορφα διακοσμημένα δωμάτια, πολλά από τα οποία περιλαμβάνουν λευκά είδη, καθρέφτης, ιδιωτική είσοδος, πετσέτες, σύνδεση internet (ασύρματη). Κατά τη διάρκεια της μέρας μπορείτε να απολαύσετε την χαλαρωτική ατμόσφαιρα των ενοικίαση εξοπλισμού θαλάσσιων σπορ, ψάρεμα, κήπος, θαλάσσια αθλήματα (μη μηχανοκίνητα). Το Ramo Resort είναι μια έξυπνη επιλογή για τους ταξιδιώτες στη Κάμποτ προσφέροντας κάθε φορά μια ήρεμη και ήσυχη διαμονή. The view was nice. I could hear everything from outside in my bungalow. This place is charnming and perfret for relaxing. No tv, right on the water, great a/c and great hosts. Its right on the river and a $2 (maybe) tuk - tuk ride from town. Time your arrival to Kampot and Rago for after dark.... very safe and you'll see why when you arrive. I would have loved to stay longer here. I had a bungalow on the river. It was so cozy. Would definitely stay here again. The food was good. Staff was friendly! Very helpful. Disappointed in the state of the place, needed a good clean and tidy up. Small rooms. Warning: Noisy - Karaoke and Techno-Parties. Sleep at night - forget it. Staff: We are sorry. Means - we don´t care. Not again. 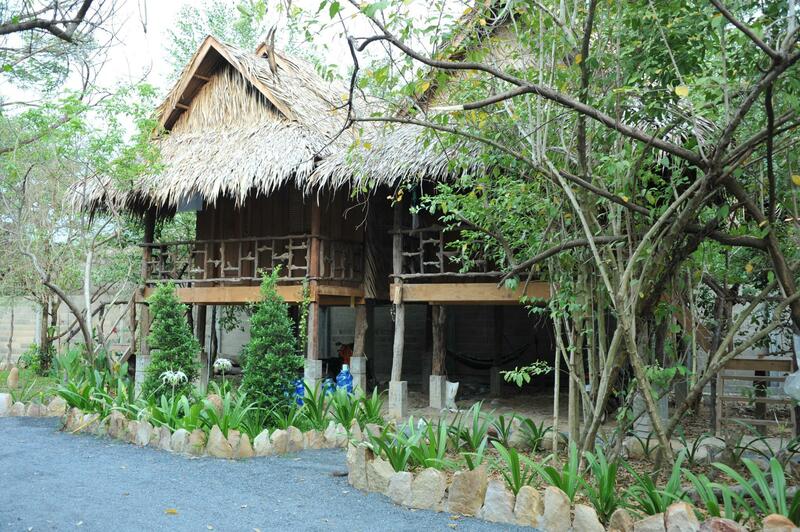 I stayed here on my second stay in Kampot and absolutely loved it. I had a unit on the water and it was well-worth the extra cost. Clean and just down the road from the Women's Spa. Super helpful and friendly staff. Way more convenient than I'd imagined. Fantastic Tom Yum soup in the restaurant and they will bring breakfast to your patio. This would be a perfect place if it would not be next to a pretty busy railway bridge and other party hostels with loud music every night. It looks much more luxurious than it really is. 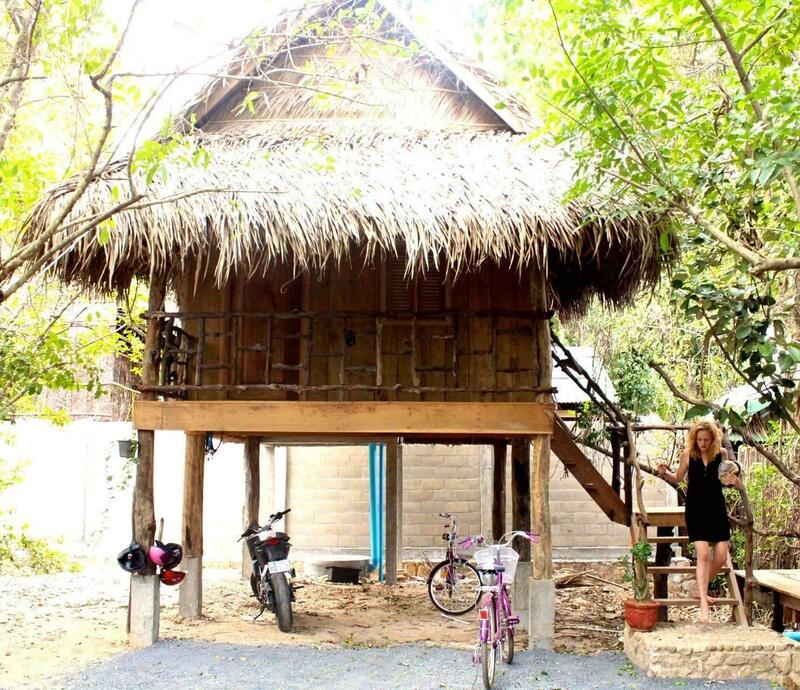 We got a bungalow on a major discount ($10 per night) but still not worth it. It was above a construction site, the shared bathroom was grotesque (cigarette butts in the blocked overflowing drain and you had to hold your breath to go into the toilet). Food ok, staff pretty friendly but a bit in your face (lots of jokes about money) and we ended up checking out early. Happy travelling peeps! The staff were very friendly. The venue is gorgeous during the day, and at sunset with the river traffic sailing by, but was very windy at night as we were there so we didn’t get much sleep. Also rubbish under the bungalow was noisy at night as it was blown around. The opposite bank on the river got more sun and was warmer. Or a bungalow inland would be less romantic but more practical for sleep. 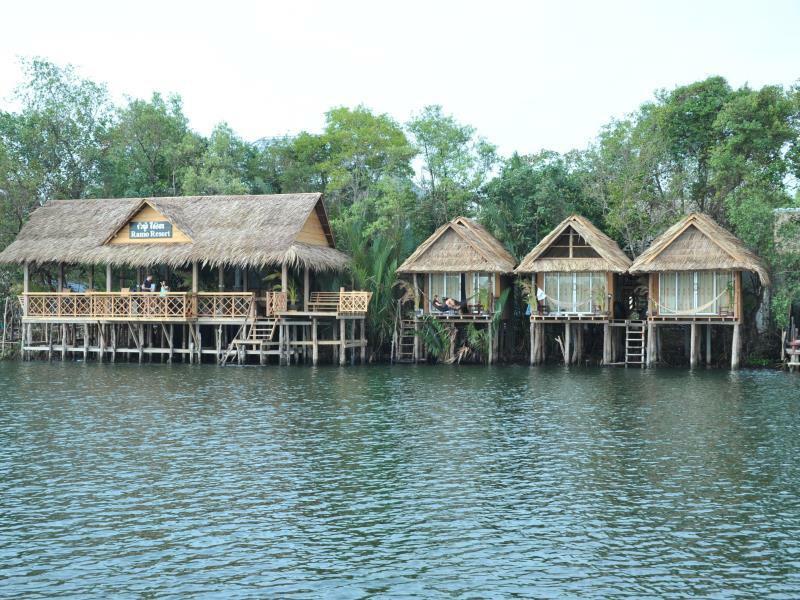 All of the riverside resorts including Ramo resort have riverside bars where you can have dinner or a drink and soak up the riverside view and experience and the retreat to a quieter hut a few meters back within each resort. The bungalow wasn’t cleaned properly, towels and bed linen not properly washed. We expected more for 28€ a night. If you choose the bungalow directly on the water, you can't do anything wrong. It is equipped with a hammock, which makes life more wonderful. Bathroom and bed are good. The shower is just cold, which is completely sufficient with the heat. The staff is really nice and helpful with anything you ask for. The only downside is that the bungalows around played loud music, which was a bit disturbing in this natural setting. And the bungalows itself are also directly next to each other with little privacy. I wanted to extend one night, which was not possible. They offered me the room with the shared bathroom. I decided to go somewhere else. It is actually just one bathroom and not the cleanest. Had a nice stay in Ramo resort. Its a paradise place. Unfortunatelly the staff wasn´t as good with English as other staff in other hotels. They were nice though. The location is really nice. But you need to take a bungalow with river view. The bungalow is so dirty. The bathroom had so many insects that i didnt wanna use it. They dont clean the room when u stay there. The food is not so Good. Coffee is okay though. For Good food go to the hostel next door. I would not stay there again, But i am also a bit sensitive when it comes to dirt, insects ect. If you like the rustic, go here. 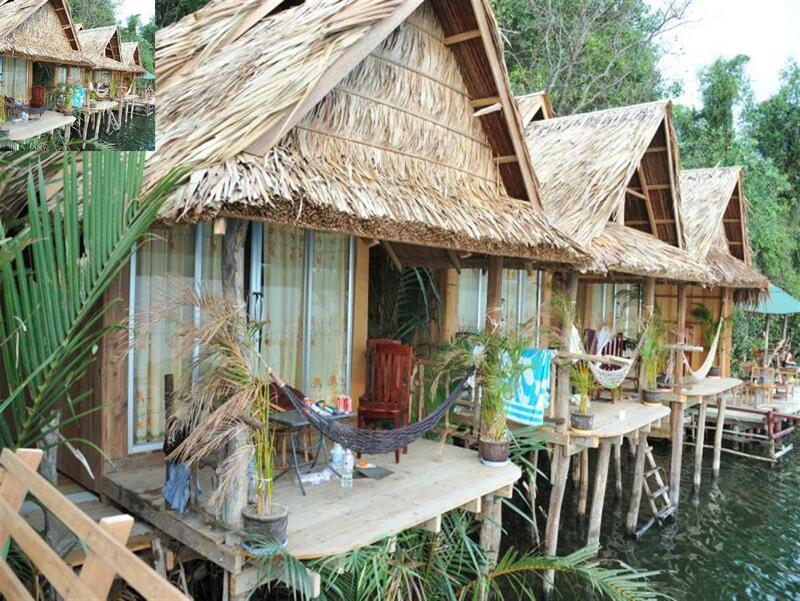 River bungalows have a terrace with a hammock to chill and see life (the river) flow. Amazing views, worth it 100%. They also have ensuite bathrooms. The sunset cruise can pick you up and drop you off directly from the resort. Food was so-so, homemade, though. The place is really clean, but the river brings garbage which is not picked up. Everything is great. I love my Cambodian family. We stayed in a hit right on the river which was very relaxing. The food was cheap and delicious. The staff were very friendly and helpful. It was only a $2 tuk tuk ride into town. Σταθμός Λεωφορείων Kampot στα 1.98 χλμ.